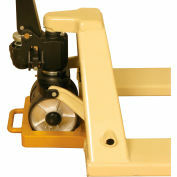 The pallet jack stop is engineered to hold any pallet truck in place in a moving truck or trailer. 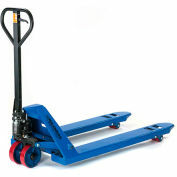 Its unique design helps to reduce freight and trailer damage due to runaway pallet jacks, making it ideal for freight, logistics and trucking companies. 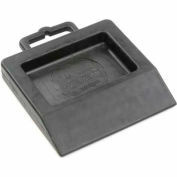 Durable rubber skid jack stop prevents any movement on the floor of a truck or trailer, protecting valuable freight from damage caused when a pallet jack rolls or slides unsecured. 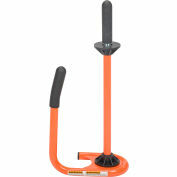 The chock works on any surface and will not slip. 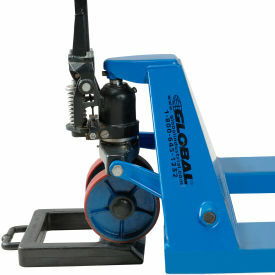 Truck drivers simply pull the pallet jack into the stop and it is securely parked in seconds. 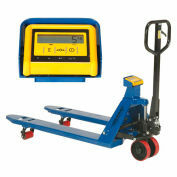 Drivers will never again have to tie a pallet truck down or turn the pallet truck on its side. 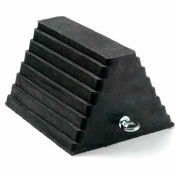 14"L x 12"W x 2"H overall and weighs only 3.5 lbs. Your review: The value of the equipment is nearly as good as the Global Customer Service Rep. 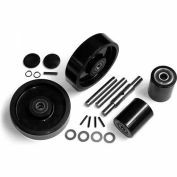 Your review: keeps the pallet jack stable for loading. Your review: This product works great. 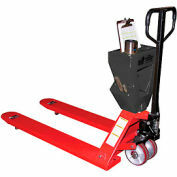 Keep Pallet jacks from moving around and destroying merchandise in the back of our trucks. 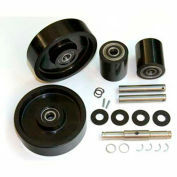 Your review: This item is ideal for our route delivery trucks. 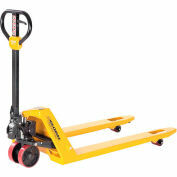 It will help keep the pallet jacks from damaging the walls and product rolling around. Pros: Small easy to use. Your review: I like the product...it's working well. Your review: It Works ! 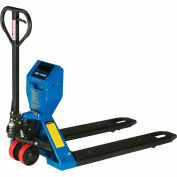 Your review: Fair deal for pallet truck stop. If you need more than one, buy at one time and save on shipping. I am a new company with one truck. Only needed one. The shipping is as much as truck stop. Pros: Save time by not having to tie down pallet jack in truck. Holds pallet jack secure. Cons: Seems like a simple tool,a little pricey for what it is, but it works.